Hello and welcome to my blog. Today on this first day of February, I am hopping again with the wonderful Creating Kindness Design Team, a group of Stampin’ Up! demonstrators from around the world. The theme of the hop this month is Fun Folds and our guest designer is Lou Kitzelman. Lou is a fabulous paper artist and we are very excited to be hopping with Lou this month. So Fun Folds … those of you who know me, know that I struggle with anything that needs precise measurements … so possibly you should skip on ahead to Jessie Holton’s project! Hahaha! 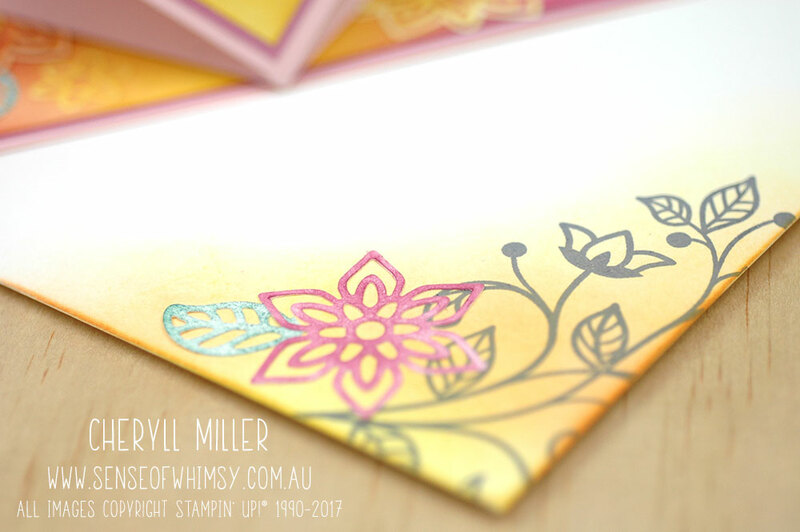 No wait … I chose a fun fold that is easy and yet has a wow factor when you pull it out of the envelope … it is a Spring Fold Card. In actual fact, I had a lot of fun with this one, so it did fit into the theme well. 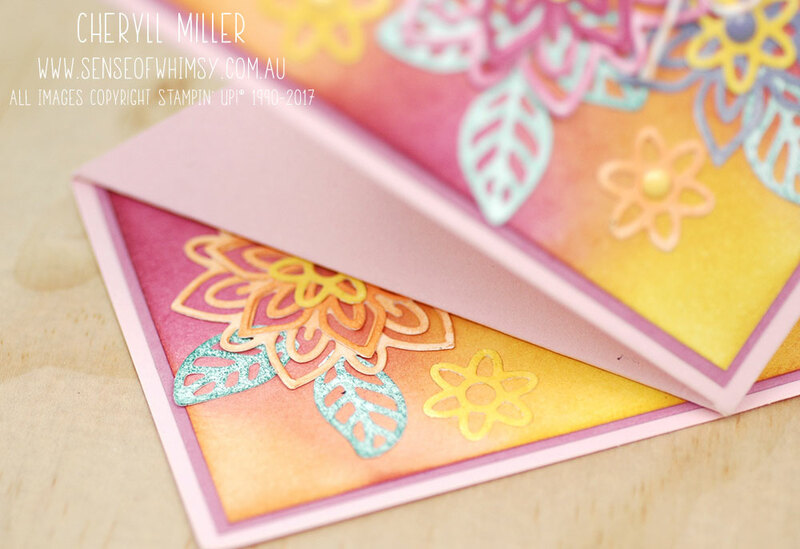 I have used Powder Pink as the base card, and sponged the feature layers with Sweet Sugarplum, Peekaboo Peach and Daffodil Delight inks before layering onto Sweet Sugarplum cardstock. This “Spring Fold” card has a distinct “Spring” feel …with these gorgeous floral die cuts from the Flourishes dies die cut from Whisper White Cardstock and then sponged with Sweet Sugarplum, Wisteria Wonder, Daffodil Delight, Peekaboo Peach and Tranquil Tide inks. The leaves are the Tranquil Tide bit … I love that Tranquil Tide (which is a very strong colour) is such a soft minty colour when used sparingly. I continued the same theme through to the base section of the card. And also to the envelope, which is created especially for this card using the Envelope Punch Board (Measurements are at the end of this post). The card slides into it’s specially created envelope, staying nice and flat for mailing. Then when the recipient opens the card and pulls it out of the envelope ……. Taaa …. daaaaa …. it springs up and creates it’s own little display! How cute is that?!! Add your own personalised greeting to the back of the card, which is plain card. I have created a video for this project, which includes instructions in metric and imperial. If anything, it is worth watching for the laugh of watching me struggle to explain the mathematical phenomenon of right angles. 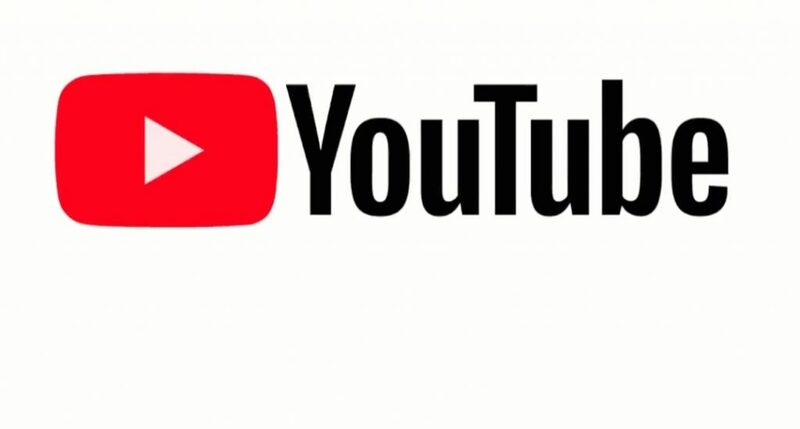 Click the You Tube Logo to go to my video. 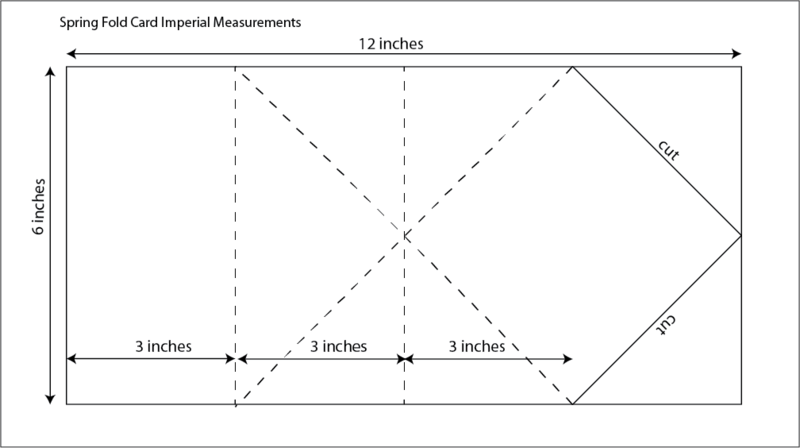 For those of you who work better to a diagram, I have included diagrams for both metric and imperial at the bottom of this post. 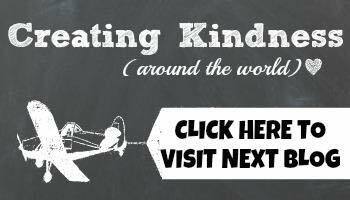 Many of the Creating Kindness team have created videos, always helpful with fun fold projects. Make sure you hop around and see them all. The video links to all videos are listed in the video description of my video, but they are also listed here. 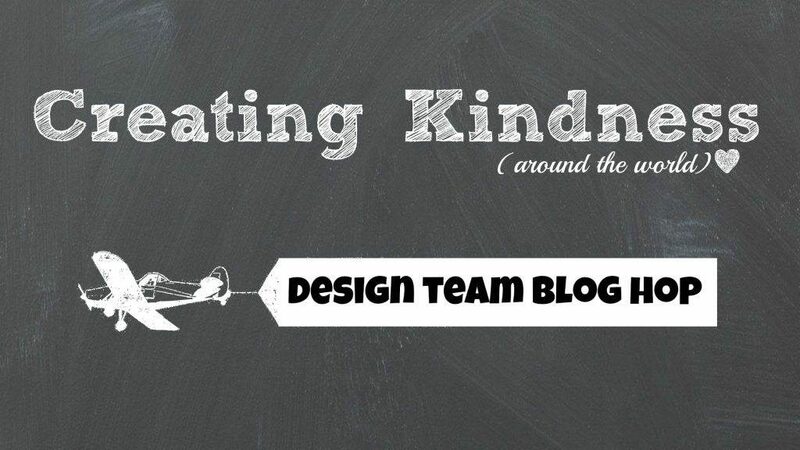 However for a quick overview of everyone’s projects, please make sure you visit all the Creating Kindness Design Team Members and Guests blogs for lots of fantastic fun fold ideas. Most are different, except Paula Dobson and myself are obviously of a similar stamping age as we both (unknown to the other) chose exactly the same fold. Who would have thought, out of all the folds out there, we would have chosen the same one!! Paula’s is totally different in design, giving you a good idea of how you can take one fold and create many different cards. However the fabulous Jessie Holton is next up in the hop ….. Jessie is an amazing creative dynamo and mother of the cutest children ever! Here are the diagrams to create a Spring Fold card in metric… Download here. The measurements for an envelope to suit this card size are:- Paper Size 24.4m x 24.4cm, first punch and score line at 12.2cm. And here is the diagram for imperial measurements … download here. The measurements for an envelope to suit this card size are:- Paper Size 9-3/4″ x 9-3/4″, first punch and score line at 4-7/8″. If you are in Australia, the supplies I have used to create this project are listed below. Click on any thumbnail image to see that item in my online store. I appreciate your support. If you are shopping online, please use my rewards shopping code for a small gift and card from me at the end of the month. Wow!! 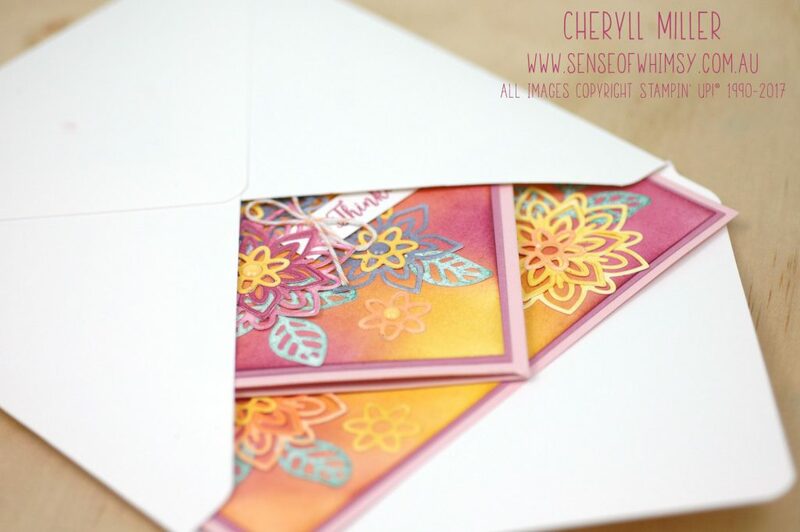 Cheryll, I love this card and the color combination is gorgeous!! Cheryll, Fun to read your blog, no way to skip it. I saw Paula’s card first, but They look so different! even if you guys made same type of fun folder card, Very beautiful! Cheryll! This is so gorgeous! …and it looks way too hard! I’m with you, if it needs measurements-avert your eyes! You knocked this out of the park with all of the beautiful flowers and a stunning envelope! Oh Cheryl this is such a fun, fresh and fabulous card. This is also one of the first fancy folds I ever learnt and now you and Paula have given it a fabulous new lease of life. You video is so great – thanks for the clear and concise info – the perfect reminder of how to make one. Thanks for having me this month. There is certainly a wow factor here, Cheryll. But it’s also a Cheryll factor because you are splashed all over it with your colors. Amazing!